...but this news story is a bit past what I'd known. Bea, I wish I'd ever met you. What a lovely legacy you're leaving to the world- not just as a comedian, but as a person who chose that one of her final acts on the earth was bettering other people's lives. Bea Arthur left $300,000 in her will to a New York organization that aids homeless gay youth. The Ali Fornay Center provides services to more than 1,000 each year, and is planning to buy a building to house 12 young people - and name it in honor of the "Golden Girls" actress. The head of the center said he is thrilled with the stage and television legend's generosity. "We work with hundreds of young people who are rejected by their families because of who they are," said Executive Director Carl Siciliano. "We are overwhelmed with gratitude that Bea saw that LGBT youth deserve as much love and support as any other young person, and that she placed so much value in the work we do to protect them, and to help them rebuild their lives," he said. The Ali Forney Center offers emergency shelter and transitional housing in seven residential sites in New York. It also operates two drop-in centers offering food, clothing, medical and mental health treatment, HIV testing, treatment and prevention services, and vocational and educational assistance. I thought you would have heard this! This made me happy when I originally read this. Bea, you rock! Yeah, I'm kinda late to the party. Oh well- at least I know now! And really, that's a damned fine thing to leave behind one. this is totally unrelated (although the post is awesome), but i just realized that the dude in your icon is dana ashbrook. good show, old man! I love this photo of him- the whole 'I AM SERIOUS AND MY THUMB IS UP' of it. 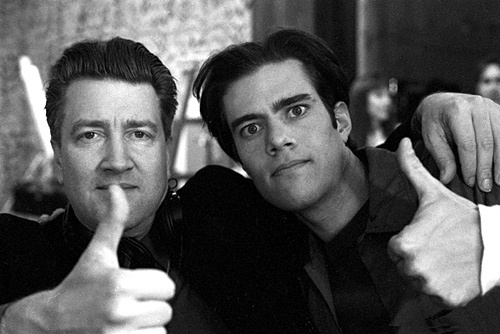 I wish I still had a full copy of the pic: he's leaning in against David Lynch in that. And I am now picturing a handful of adorable little teen drag queens dressed up as Bea, and it's so cute.